Search engine optimization (SEO) is a set of methods aimed at improving the ranking of a website in search engine listings, and could be considered a subset of Internet or Web marketing. The primary purpose of SEO is to get higher rankings on search engines which in turn creates a larger target audience. To quickly get an idea of what the challenge is in SEO, just type a search term into Google. Enter it without quotes because that is the way most users perform searches. You will get back a page of search results and an estimate of the number of pages on the Web that are indexed for that specific search term. That number represents your site’s competition for that particular search term. Now lets just say that the number of sites competing for your target keyword phrase is 7,000,000 sites. If every site is trying to rank in the top ten results for organic search then there is obviously an issue when it comes to deciding which of these competing sites should actually rank for these top ten positions. A search engine ranking algorithm works as a sophisticated filter that tries to prioritize web pages in a manner that will place the most relevant web page content for that particular search query in the corresponding top ten search results. That is why over 90% of sites on the web today are unknown to the average user, the only way you can reach these people is through SEO and/or by marketing your website through a variety of other mediums. With over 15 billion pages on the Web, marketing through SEO has become a very competitive industry. On face value, search engine optimization may appear to be a rather complex service or skill that is only relevant to “big brand” companies. Search engine optimization, however, is vital for every business, no matter how small, especially considering the type of world we live in today. These days relying on traditional marketing media like advertisements in newspapers and on television simply will not do. To succeed in a highly competitive business world – a world where target consumers readily access the Web on the PC or with a cell phone for the better part of the day – large and small businesses alike must engage in widespread and intensive marketing campaigns on the Internet. And the standard path towards establishing an online presence for a business, and guaranteeing maximum exposure and publicity, is running an effective business website. However, it is not enough to simply set up a business website. As a contemporary business owner, you have to take necessary steps to increase your website’s exposure, and thereby promote higher levels of site traffic. For instance, you have to develop and post as much relevant and quality online content as you possibly can. You could post all this content directly on your site, or set up connected or separate business blogs. You could even guest blog on other appropriate websites or online platforms. All that matters is that you post large volumes of related content online. To understand better how higher volumes of content help to promote publicity for your business and site, consider your business and site to be like one of the many fish species that can be found in the sea; the sea in this case being the World Wide Web. With that picture in mind, assume that internet surfers and prospective customers are those who come to fish. Also see your competitors for Web surfers’ attentions (that is, other industry operators and their own online campaigns) as the other fish species. Now, assume for the sake of this illustration that instead of running away or trying to escape from snares and traps, your aim is to actually be caught in the highest numbers possible. In that vein, you would naturally want those fishing to capture more of you than others. And to do this, you would have to take great pains to increase your population which in itself can be likened to volumes of online content. After all, the greater your population is, the higher your chances of getting caught. Likewise, in the online business world, the more online content you put up, the higher your site traffic and exposure is likely to be. However, with respect to online content, quality must not come second to quantity. They must be regarded with equal levels of concentration because worthless online content is as good as no content at all. This is but one of the instances where the importance of search engine optimization and placement comes in. Search engine optimization applies not only to online content, but to websites or web pages in their entirety. It generally refers to a strategic process in which an SEO specialist takes appropriate steps to improve site visibility in search results produced by search engines such as Google and Bing. In other words, it can be seen as a combination of efforts on your part to compete favorably in search engine result rankings. The importance of search engine ranking becomes particularly glaring when you take into serious consideration the fact that the average web surfer does not typically exude a great deal of patience. In fact, most people that make use of search engines can tell you that they very often do not view past page ‘2’ of results generated by a search engine. Thus, in light of the fact that search engines make up an exceedingly large percentage of the avenues surfers use to locate and access websites, you need not be told that if your site fails to rank high in this regard, your site is likely to receive very few visits. Having understood the importance of search engine optimization, the next question you should ask is what search engine optimization and placement strategies generally entail. 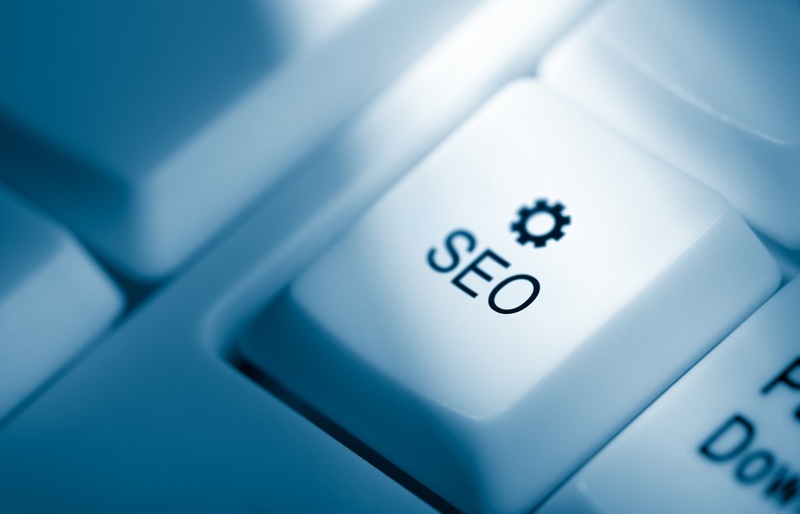 Well, an effective and efficient SEO strategy should factor in and work in line with how search engines work, what web surfers typically search for (especially in relation to the nature of the business and subject matter concerned), most frequently used related keywords, and which particular search engines happen to enjoy higher preference among target audiences. Due to its apparent simplicity, some business owners may feel they are indeed capable of catering to their search engine optimization and placement needs on their own. This may in fact be true in some cases, especially with businesses whose nature of primary operations is similar to or one and the same with the sort of operations search engine optimization entails. However, as many business owners are bound to discover, search engine optimization can be very intensive and time-consuming, especially if one hopes to achieve a considerable level of success in the endeavor. Therefore, in order to guard against detrimental distractions from the primary purpose of business at hand, it would be wise to seriously consider outsourcing search engine optimization and placement services. VONT has a staff of experts and consultants dealing in SEO that offer SEO services either as a stand-alone service or as part of a broader marketing campaign. Also, aside from content creation and site structuring, SEO tactics can be applied in website development and design. Generally, the underlying goal or objective of any SEO strategy should be to make content, web page design, navigation, management systems, images, videos, shopping carts, and other crucial elements on a website more “search engine friendly”. Naturally, you can test the effectiveness of an employed SEO campaign by measuring its performance through web analytics, Key Performance Indicators (KPIs), or simply checking the position the website concerned occupies on a Search Engine Results Page (SERP).